Water is an essential part of survival, and those are privileged who have access to pure drinking water. 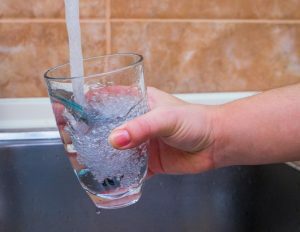 With the levels of contamination increasing each day, it has become more important that we install a water purifier in our homes, offices, and schools so as to have access to pure drinking water at all times. All of us know about the importance of pure drinking water, but very few of us know how the thumb rules for identifying the right RO water purifier for our homes or office. Let’s take a quick look at some of the factors that we should consider before we reach to the decision of buying a water purifying system. Hardly any of us know about the type of water that is supplied to our homes, workplaces and schools. For us, buying a purifier is an answer to all problems. In reality, this approach is not right. For example, water from bore wells and tankers are high in microbes and salt levels compared to water supplied via tube wells. Therefore, separate technologies are required to purify the water. Some water purifiers come with a unique mechanism purifying water from a wide range of sources. Currently, there are four different types of water purification technologies available in the market, and they are RO, UV, UF, and a combination of RO+UV+UF. Water purifiers in the likes of Kent RO offer a broad range of purifiers to meet the purification and filtration needs. Now let’s delve deep into these technologies with particular emphasis on the RO technology. UV purification involves the usage of ultraviolet rays for destroying the germs and cysts present in the water. UF or Ultra Filtration involves the usage of membranes to remove the pathogens. This is very similar to the RO technology. UV & UF technologies can be employed for purifying water with TDS level between 0-80. RO technology is one of the most popular amongst all the technologies, though water purifier brands offer a combination of all technologies rolled into one product. TDS refers to Totally Dissolved Salts that determines the hardness and the softness of the water. Very interestingly, there are TDS meters available in the market that helps us measure the level of heavy metals and salts dissolved in the water supplied. 0-80 is considered to be the purest form of water fit for drinking. Next level is 80-150 which is also pure and anything beyond that needs purification. Advanced water purifier comes with TDS control that allows the adjustment of the system as per the need of the user. Now what is RO Technology? RO refers to reverse osmosis. This is one of the most oft-used technologies when it comes to purifying water. During a normal osmosis process, the water molecules move towards a solution with higher salt content from the lower salt content through a membrane. Reverse osmosis as the term suggests a completely reverse process. Here, increased pressure, which is greater than the osmotic pressure is applied to a membrane thereby allowing the water to move in a reverse direction, i.e. from higher concentrated solution to the lower ones. During reverse osmosis, the water is forced through a pressurized chamber with a membrane. Here the water pressure applied is much greater than the normal osmotic pressure of the contaminated water. Owing to the increased pressure, the water starts forming hydrogen bonds that attach itself to the membrane matrix. The water molecules then start passing through the membrane leaving behind the impurities. This permeated water is further de-ionized for removing extra impurities. Reverse osmosis mainly removes bacteria, pyrogens, and other microbes. Reverse osmosis is a very effective process of water purification, and the purity level is directly proportional to the TDS levels of the feed water. The quality of the membrane is the game changer in this entire process. Earlier, the membranes were made out of cellulose acetate. With the passage of time, the quality of membranes became superior, thereby, replacing the CTA membranes with Thin Film Composite membrane. This increased the salt rejection rate to almost absolute. Hence, it is proved that RO is a must technology for every water purifier even though it can be found in combination with other technologies. What Makes KENT’s Next Gen Water Purifiers Different?